Iran has put the world on edge with its nuclear ambitions. Calls for negotiations have largely been unsuccessful at this point and has escalated to the point of the U.S. putting the possibility of military force on the table. However, negotiations have since resumed with some hope of a positive outcome for all nations involved. A senior Iranian official announced that the country was willing to meet Western demands halfway. Ferydon Abbasi, the senior head of the Iranian Atomic Energy Organization, announced that Iran has plans to enrich uranium to no more than 20 percent purity just for the use of a medical research reactor. He also added that all other activities towards uranium enrichment would be only used to fuel power generation reactors. Abassi’s statement, if believed, is a good sign in the right direction. However, another Iranian official released a statement that completely runs counter to Abassi’s announcement. Foreign minister Ali Akbar Salehi made his own announcement that Iran has no plans of agreeing to any preconditions before negotiation resumes. One can only speculate, but it appears that the conflicting remarks made by Abassi and Salehi are due to internal debate and conflict within Iran’s own regime. Iran is after all, being threatened with economic sanctions and a European embargo if it proceeds with plans to build a nuclear weapon. The negotiations will involve Iran and members of the United Nations Security Council, which includes the U.S., Britain, Russia, France and China. One of the conditions by U.S. and European diplomats is for Iran to transfer its current stockpile of uranium fuel out of the country. Additional demands also include the dismantling of a newly constructed nuclear compound located under a mountain near the city of Qum. Iran continues to persist that its uranium is only intended for peaceful purposes, while the United Nations continue to hold suspicion that Iran is enriching its uranium to construct a nuclear weapon. Until the negotiations resume, there is no telling which direction Iran will take. In short Iran is screwing around with the world and stalls for time as it feverishly continues to develop a nuclear weapon. This is what a third world nuclear arms race looks like – in case you were wondering..
Last December, the global intelligence company Strategic Forecast, referred to as Stratfor, was hacked by members of the Anonymous group. Among the files gathered were a very large number of internal emails, showing how the private intelligence gathering company conducted its business around the world, and include a lot of revelations that are only now becoming public. One such email for example hints at the fact that Israeli commandos and Kurdish fighters may have destroyed an Iran nuclear facility. If true, this could have wide repercussions in the middle east. The email is just one of five millions that the firm sent and that was hacked in the December attack. In it, Stratfor analysts apparently obtained information that would indicate an Israeli commando wiped out an Iranian nuclear facility. Some of the company staff discuss how likely that is, and come to the conclusion that it could be true if the Israeli forces cooperated with Kurdish fighters. The explosion at the Iranian facility was seen as possibly being caused by such an attack: “[He] was asked what he thought of reports that the Israelis were preparing a military offensive against Iran. Response: I think this is a diversion. The Israelis already destroyed all the Iranian nuclear infrastructure on the ground weeks ago.” Thanks to the series of emails that followed, the company comes to the conclusion that it may well have happened the way their informant says it did. But this is just one of many revelations that are already starting to come out from these massive files. In its press release, WikiLeaks portrayed Stratfor as a private intelligence agency, a shadow CIA bribing people to obtain their intelligence through a series of hidden Swiss bank accounts, working with large corporations, executives, government agencies and the military to get the best intelligence they could through money exchanges or extortion, and then turning this into a money making business. Their latest fund StratCap aims at profiting financially from getting this early access to facts and rumors from around the world. Meanwhile, a select few individuals and corporations are allowed to pay the company to get early access to this information. Meanwhile, Stratfor has posted a statement on its web site, saying the hack and subsequent release of private emails is a deplorable and illegal act, something they did not authorize, and warn that some of the emails may be altered or faked. They claim that their internal systems are now more secure and that such a hacking attempt would not happen again. Still, there’s no doubt that the emails released will more than likely bring us more facts about powerful world figures in the weeks to come. These days you need to keep and make new friends. Benjamin Netanyahu and wife visited Cyprus in a historic one day trip. He met with Dimitris Christofias the PM and signed a mutual rescue agreement that allows both countries to send troops for a limited time to the other country in times of a disaster. The same agreement was once in place with Turkey but since relations went downhill, this is a little message to the Turks that no one is irreplaceable. Netanyahu said that “the sanctions on Iran are not working. We are dealing with a country that break all international codes of behavior.” He also said that the US and other countries should worry about a country like Iran holding a nuclear weapon. Cyprus also has a tense relationship with Turkey that’s blaming it for drilling for Natural Gas in its territorial waters. 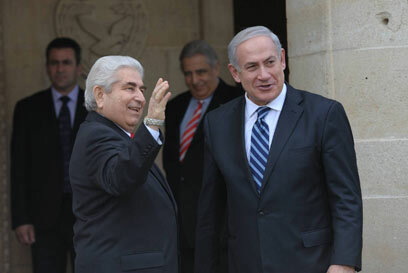 That has also made the relations with Israel more important recently for Cyprus. During some previous discussions Israel has asked to place some fighters in Cyprus. The same sort of discussions have gone on with Greece, which has also been getting chummy with Israel. The situation with Iran and their nuclear program has been on the front of the world agenda for a long time now. It’s a rich history of accusations and denials. 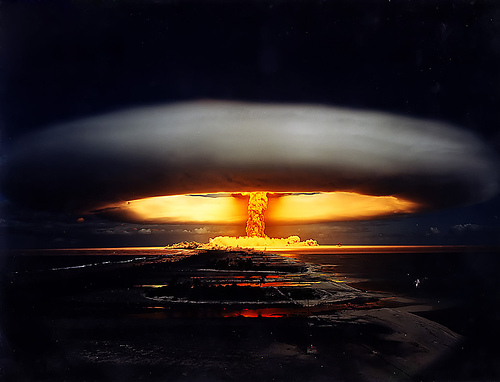 Now, to add to the fire, US Defense Secretary Leon Panetta talked in a CBS interview about the fact that in his opinion, Iran could make a nuclear bomb inside of a year, which is sure to reignite the debate of whether that’s the case or not, and what to do about it, if anything. It’s not the first time that the subject was brought to the public’ attention, and will clearly not be the last either. Iran’s nuclear ambitions are nothing new. The country has been working on various projects including radioactive materials for decades. In itself, refining uranium isn’t necessarily evil. In fact their claims have always been that they are building nuclear reactors to power their cities. The question of course is whether that’s true, or if they have a secret nuclear bomb program. For Defense Secretary Panetta, there’s no question about it, Iran has all the necessary tools and technology to start working on a bomb. It would apparently take them one year to manufacture enough radioactive material to create the bomb, and then up to another year to create the infrastructure to be able and aim it at any country in the world. He said that the US is fully prepared to stop them if they get the intelligence that they’re in process of doing that. Of course, we don’t know what the intelligence currently says, and he did not specify any of it. Iran has always claimed that the rest of the world was mistaken, and that the only facilities they had was to create nuclear fuel for their reactors. The process is very similar, where there’s a need to get the base material pure enough to be used as a source of fuel. The difference is how pure it needs to be. For a reactor, this can be around 25% to 75%, whereas for a nuclear bomb, it needs to be higher than 95%. That’s a big difference, and why it’s much more complex to get enough fuel for a bomb. With many countries both in the western hemisphere and in Europe suspecting that Iran has every intention of developing a nuclear bomb, there’s no doubt that they have highly damning suspicions, but without any hard proof, it’s hard to know how things will proceed next. The situation remains volatile, and this type of talk doesn’t help reassuring people. It seems likely that if proof were to come out of Iran’s true motives, then it may start yet another large scale war in the region, which would destabilize the area. Until then, countries stay on alert, and we all watch. Mysterious blast in Iranian capital leaves one dead, injures two. Local media reports say blast ‘reminiscent’ of previous attacks on nuclear scientists. According to Iranian media reports, the incident “looks similar to attacks on nuclear scientists in the city,” more than one year ago. The semi-official Fars news agency cited witnesses as saying a motorcyclist stuck a bomb on the side of the car which then exploded, killing one and injuring two people inside. 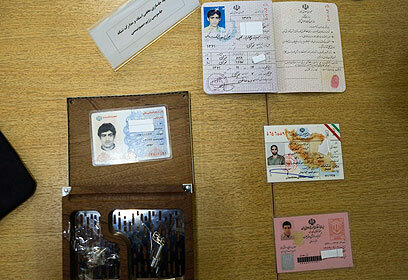 Fars identified the victim as Mostafa Ahmadi-Roshan. State-run Press TV said he was a university professor. Another Iranian nuclear professor was killed earlier this year when a motorcycle rigged with explosives was detonated outside his home. Iranian authorities, who claim Western governments seeking to thwart the country’s nuclear ambitions are behind the attacks on nuclear scientists, issued a statement blaming today’s attacks on “Zionist agents” and vowing revenge. The U.S. and its allies are pressuring Iran to halt uranium enrichment, a key element of the nuclear program that the West suspects is aimed at producing atomic weapons. Uranium enriched to low levels can be used as nuclear fuel but at higher levels, it can be used as material for a nuclear warhead. Iran has claimed that Israel’s Mossad, the CIA and Britain’s spy agency are engaged in an underground “terrorism” campaign against nuclear-related targets, including at least three slayings since early 2010 and the release of a malicious computer virus known at Stuxnet in 2010 that Iran says disrupted controls of some centrifuges a key component in nuclear fuel production. Both countries have denied the Iranian accusations. A top official with Iran’s nuclear program announced over the weekend that the country is on the verge of breaking ground on a second uranium enrichment site. This rebellious announcement comes amid new international sanctions against the country due to its dispute over their nuclear program. The announcement was made through new media reports and came after weeks of escalading confrontations between Tehran and Washing. This included a threat that Iran could potentially respond through military force if the US tried to send their aircraft carriers through the Strait of Hormuz. The second enrichment site, the Fordo plant, which is located near Qum, puts the US in a difficult position about how far they will need to go in order to limit the nuclear abilities of Iran. The Fordo plan is located underground and is well defended against attacks. This makes the plant more resistant to missiles and other forms of air strikes than the first plant at Natanz. The Fordo plant was first talked about in 2009 by President Barack Obama. At the time, the US, France and Great Britain were not convinced that Iran would go far enough to develop the plant. Once the plant goes into operation it will be much more difficult to disable it. Fereydoon Abbasi made the announcement on Saturday that the facility was nearly completed. 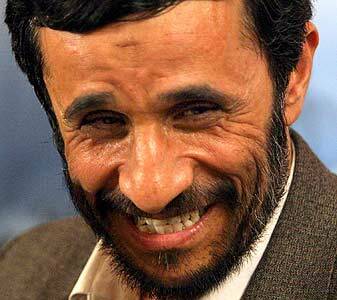 Abbasi was made the head of Iran’s Atomic Energy Organization in 2010 after surviving an assassination attempt. 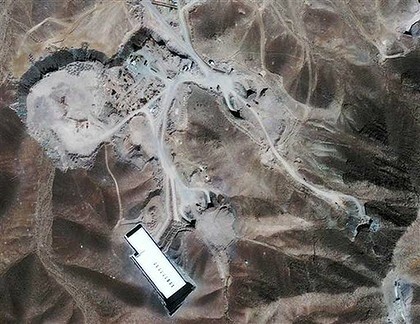 Iran has been known to exaggerate their abilities, however, nuclear experts claim that an operational site is plausible. Inspectors for the International Atomic Energy Agency reported enrichment centrifuges in December, which makes the story even more probable. Iran has been deeply hurt by four years of sanctions, but it appears that the nuclear energy program is flourishing. The oil embargo in Europe and the new sanctions by America could undercut the government and lead to a cutoff of their biggest revenue source: oil. These sanctions seem to have only made Iran more determined to proceed with their enrichment program. Iran has threatened to close shipping through the Strait of Hormuz, which could increase oil prices immensely. Iran has conducted exercises with their military to close the waterway and stated that they would use military force to bar the reentry of the John C Stennis, a US aircraft Carrier. 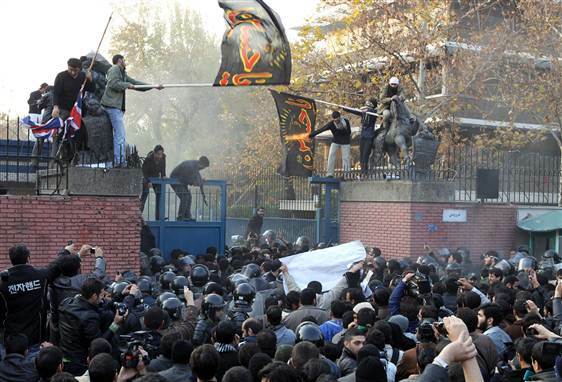 The ransacked offices of the UK embassy in Tehran are said to be the work of militant students in the area. The embassy’s smashed windows and a burning British flag have become the picture of today’s newspapers. 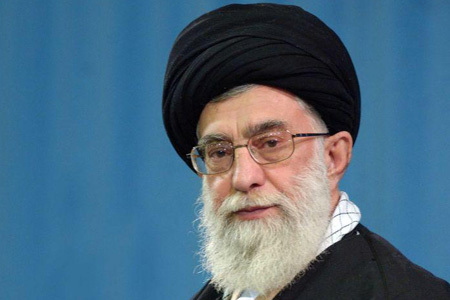 This move has come directly after the UK has vowed to endorse further sanctions to Iran. In a press release, the UK’s Foreign Offices have said to be “outraged” by the backlash. Iranian offices have also released a statement of regret. The UK Foreign office has also advised all Britons in Iran to stay indoors and to keep a very low profile while in the country. Onlookers have said that they heard “death To England” being chanted as the students rioted against police. One protester has been reported as waving a portrait of Queen Elizabeth II while turning over desktops and rummaging through the files of the embassy. Pictures of the event showed embassy paperwork set aflame while a car inside the compound was also on fire. Embassy staff is said to have escaped through the backdoor of the facility. Tear gas was fired as the security forces tried to get a handle on the situation. The US has condemned the attack and support the UK as it tries to pick up the pieces of their embassy. France and Russia have also expressed their concern and stand by the UK. This has all been sparked by the theory of Iran’s nuclear development program as the UK has imposed monetary sanctions on the banks of Iran. 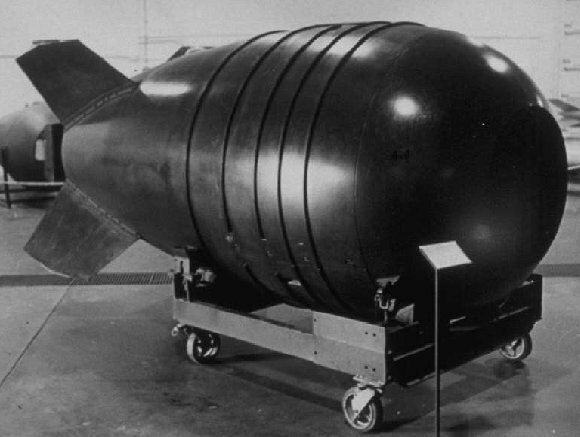 They have accused the banks of funding the nuclear program. Iran has denied these claims and insists that their nuclear program is solely for energy purposes for their people. On Sunday, the Iranian parliament voted by a vast majority to reduce their relations with the UK. Hey, what ever happened to Iran? The quiet kid in the corner. Sitting nicely, perhaps, apprehensively as totalitarian regimes in the Middle East fall into civil war, one by one, like a great game of dominoes. Oh, they didn’t go anywhere. They’re still being their mischievous selves! On Tuesday, the second day of the Great Prophet Mohammad War Games 6, Iran simultaneously test-fired 14 2,000-range missiles at one single target. Enough firepower to spook the geese in all directions. 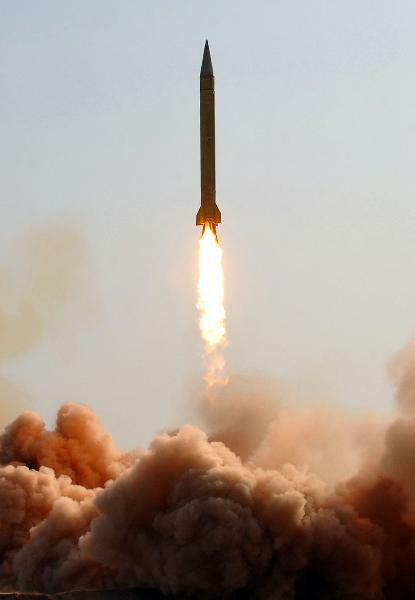 The missiles were launched near the central city of Qom. 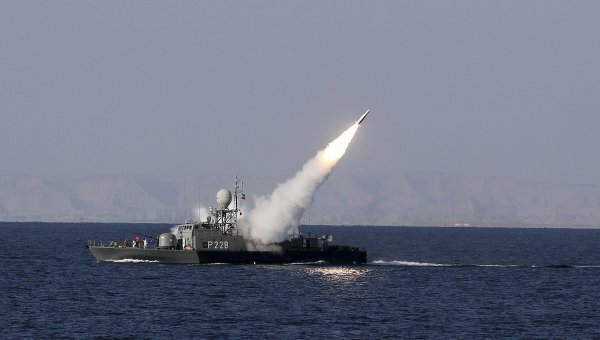 According to one source, Iran is working at top speed on some three new ballistic surface missiles with longer ranges than ever. The Shahab-4, for targets at a distance of 3,200-4,000 kilometers; the Sejjil (2,500 kilometers) and the Ashura-Ghadr 110A (3,000 kilometers). Shahab-4 and Ashura/Ghadr 110A are capable of hitting central and western Europe. Iran is also reportedly developing intercontinental ballistic missiles – Shahab-5 (5,000 kilometers) and Shahab-6 (10,000 kilometers), putting North America within hitting range. In July Iran will unleash the Kavoshgar-5 rocket that will put monkeys into space. Iranian media says that five monkeys have completed their training and the most impressive monkey will be chosen to shoot off into space. Iran is poised to have a nuclear power plant in operation by August. Built largely with Russian funding, the two countries insist the nuclear plant will be used for power generation, exclusively. Two United States emissaries sent to meet with the Saudi King, Abdullah: Defense Secretary Robert Gates on April 6 and National Security Adviser Tom Donilon, a week later, were informed that Saudi Arabia cannot forgive America for allowing former Egyptian President Hosni Mubarak to be overthrown by an anarchic rebellion, and for allowing Iran, a country who continues to enrich uranium, clearly on the road to the development of nuclear weapons (and funds terror activity throughout the Middle East in Gaza, Syria and Lebanon, with its proxy army, Hezbollah) to remain in power. Last year, the Saudis even gave Israel permission to fly over the kingdom, en route to a military operation on Iran. A WikiLeaks document dated July, 20, 2007, revealed that Binyamin Netanyahu had urged then-Israeli Prime Minister, Ehud Olmert, to attack Iran. 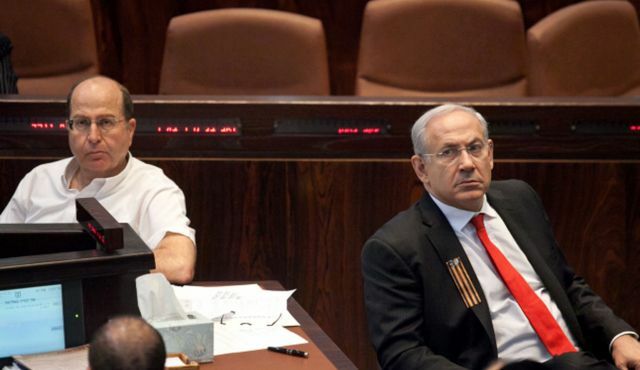 Netanyahu’s request was part of discussions to form a national unity government between Likud and Kadima. (PM Netanyahu, early in his term, invited Kadima leader Tzippi Livni to join forces — she declined). “The GCC will not hesitate to adopt whatever measures and policies they deem necessary vis-à-vis the foreign interferences in their internal affairs”. The Saudis are positive their combined missile, air force and naval strength is capable of inflicting damage on mainland Iran. Then, Saturday, April 16, the Iranian foreign ministry summoned the Pakistani chargé d’affaires to issue a caveat against allowing Saud Arabia and Bahrain to continue conscripting Pakistani military personnel. 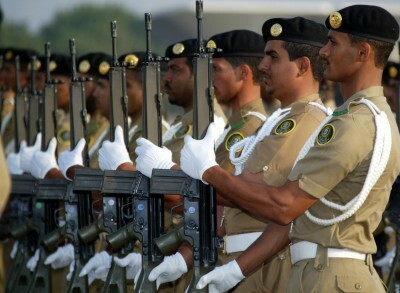 Tehran claims that by offering exorbitant paychecks, Riyadh raised 1,000 Pakistani recruits for its military operation in support of the Bahraini king and another 1,500 are on their way to the Gulf. Saudi ground-to-ground and anti-air missiles have been transferred to the Bahrain capital of Manama and naval units are positioned in that country’s harbor. Monday, April 18, Bahraini Foreign Minister Khalid bin Ahmed Al Khalifa announced that Saudi and allied GCC troops would remain in the kingdom of Bahrain until Iran no longer poses a menace. Syrian president Bashar al-Assad, also claims the spreading revolt against his regime, now entering its second month, was instigated from Riyadh. But Iran’s problems do not stop there. On April 11-12, the Arabs of Ahwaz in the western Iranian province of Khuzestan staged a two-day uprising against the Ahmadinejad regime. Government forces murdered some 15 demonstrators before cancelling incoming flights, blocking roads to the town and cutting off telephone and Internet communications. Earlier last week Reuters and Iran’s Press TV reported Iran had appointed an ambassador to Egypt for the first time in 30 years, as a post-Mubarak Egypt will see diplomatic ties restored between the two countries. 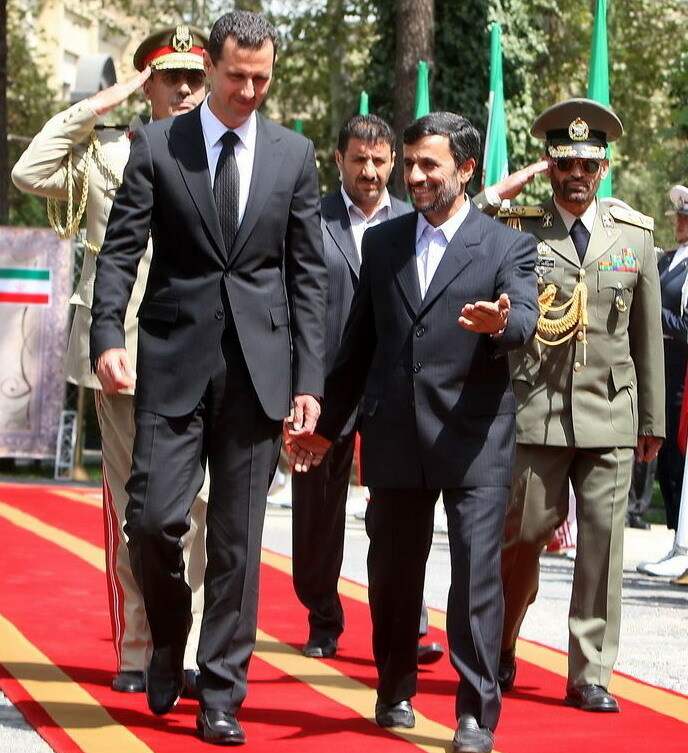 As if you did not realize, dear OneJerusalem.com readers, Iran’s hand in assisting the grizzly murderer, Bashir al-Assad of Syria, read this. On Tuesday, Iran’s Intelligence Ministry exhibited computers, weapons and secret equipment publicly, which were allegedly used in the assassination of Iranian nuclear scientist, Masoud Ali Mohammadi, last year. According to the Islamic Republic, the computer used by the assassins, was encrypted so they could contact their operators while staying outside the country. 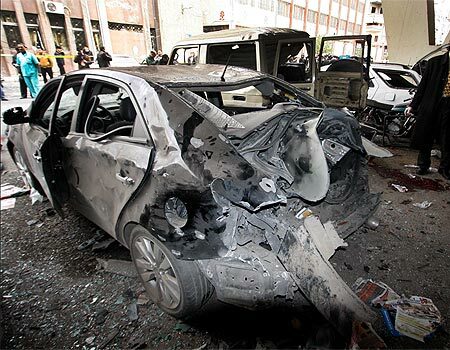 On Monday, the ayatollahs’ regime claimed they arrested more than 10 people on suspicion of involvement in the murder of the senior physician last year in Tehran, when a booby-trapped motorcycle was planted near his home. 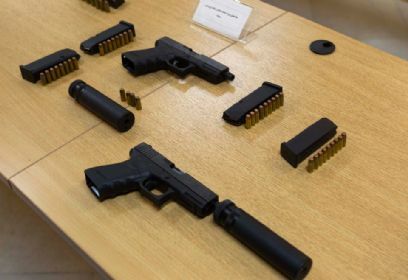 Iranian Intelligence Minister, Heidar Moslehi, assembled a press conference on Tuesday, announcing the discovery and presenting to reporters the equipment which Mossad allegedly gave to the secret agents. Boeing, Raytheon and United Technologies in Bed with Saudi Arabia: Why? I found it peculiar when, last month, Saudi Arabia purchased, under the aegis of the Obama administration, 84 Boeing Co. F-15 fighter jets, attack helicopters and helicopters made by United Technologies Corp. (70 Apaches, 72 Black Hawks and 36 Little Birds), satellite-guided bombs and an advanced radar from Raytheon Co.. But one should not be too shocked: according to the U.S. Government Accountability Office, the U.S. sold, roughly, a combined $37 billion in arms to Saudi Arabia, the United Arab Emirates (UAE), Bahrain, Qatar, Oman and Kuwait between 2005 and 2009. Israel has historically been apprehensive about U.S. military sales in the Arab world, especially to Saudi Arabia who, while opposed to the current Ayatolla, Ahmadinejad regime, funds terror and does not recognize the Jewish State; ergo, Israel not showing any opposition, let alone a tantrum over the massive deal is a little strange; especially given that last August, the Obama administration cut funding for Israel’s Arrow 3 program missile defense system (more powerful than the Iron Dome), a project totaling just $108.8m out of the American wallet. The word on the street was that America contacted Israel first, (about the recent Saudi sale) who gave the thumbs up. Spokesman of the Israeli Embassy in Washington, Jonathan Peled said that while the Jewish Country is not “thrilled” by the proposal, it has not requested such actions as congressional hearings or assurances. But if Israel does not have an EVEN WORSE taste in its mouth from the sale, some American politicians do. As far as domestic opposition to the deal, an article in Bloomberg News reported that a letter was put into circulation on the hill, for the signature of lawmakers. Composed by top Democrat and Republicans on the House Foreign Affairs Committee, the letter stresses the danger of the deal – though stops short at pleading the need to nullify the $60 billion transaction. The letter was written by California Democrat Howard Berman and Florida Republican Ileana Ros-Lehtinen and is addressed to Secretary of State, Hillary Rodham Clinton and Defense Secretary, Robert Gates. The letter inquires how thoroughly the Pentagon and the State Department have considered the sale’s effect on U.S. policies in the Middle East, specifically the righteous goal of securing Israel’s “qualitative military edge” over its neighbors; a winning goal for American security too. The Saudi F-15 package reportedly does not include arms that could pose a serious threat, like weapons which can be fired from long distances, threatening thereby little Israel. The arrival of F-15s to Saudi Arabia would not begin until 2015, the same year Israel is slated to commence the reception of F-35s. Ros-Lehtinen and Berman, in the letter, ask what Saudi Arabia has done to quell Tehran’s nuclear ambitions. The lawmakers cite potential Saudi “leverage in the international oil market to diminish Iran’s oil revenue” as well as actions to stem financing for terrorism or reduce the spread of nuclear-weapons technology. Congress has until November 20th to prevent the sale before the Defense Department and companies proceed with more detailed talks on contracts. 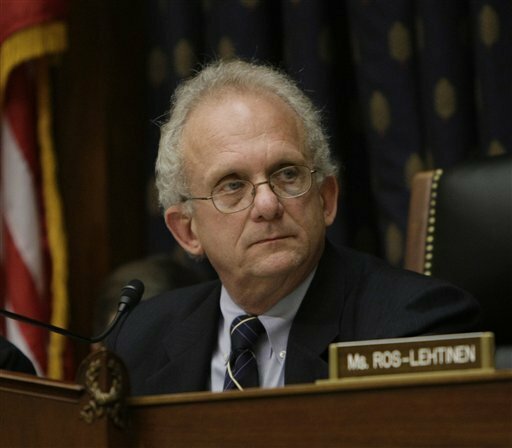 And last month, number two in the House Republican leadership, Eric Cantor of Virginia proposed that when the GOP wins control of the House – and now they have – they should move Israel’s financial aid package and add it to the Pentagon’s budget. Meanwhile, Israel PM, Binyamin Netanyahu of the Likud party is in America this week. First, D.C., to recall the nostalgic stench of a Republican majority House and then New York for a corned beef on rye at Katz’s Deli. Bibi will not be meeting with the American president this time, who is currently abroad on diplomatic duties.